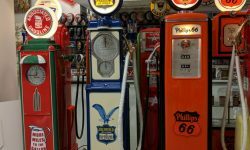 There’s a rich history to gas pumps, as any petroliana collector can tell you. 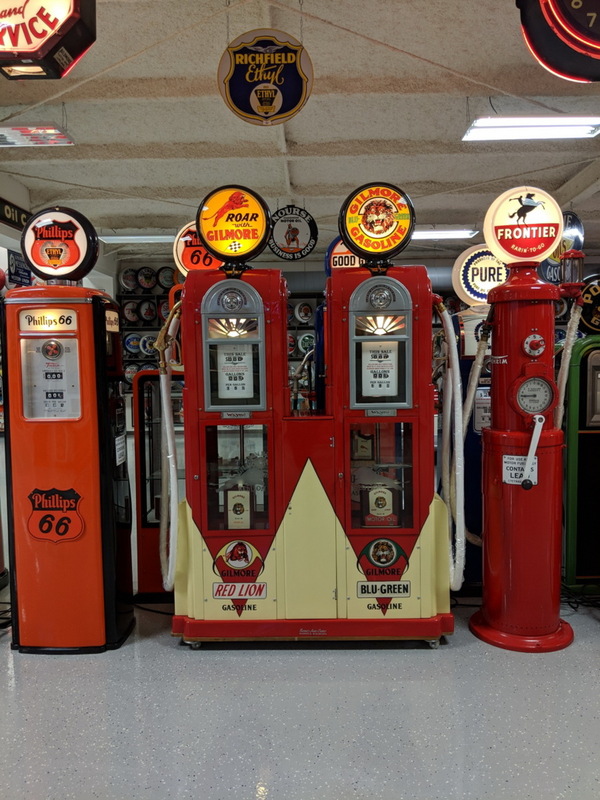 These iconic machines were around for most of the 20th century and were a familiar sight to any person driving across the country. 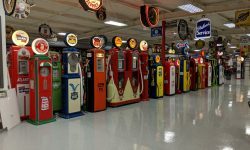 They’re undoubtedly a valuable symbol of American life and industry, and the community of people who collect them is growing all the time. 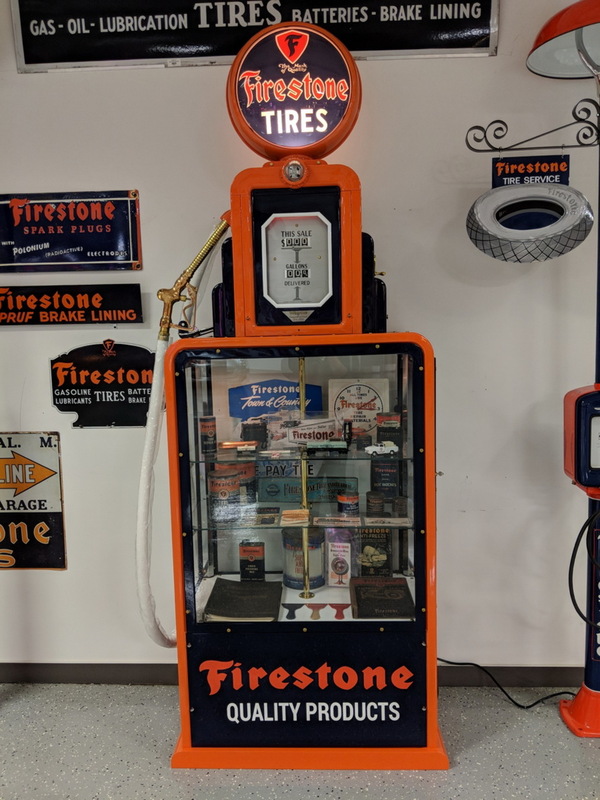 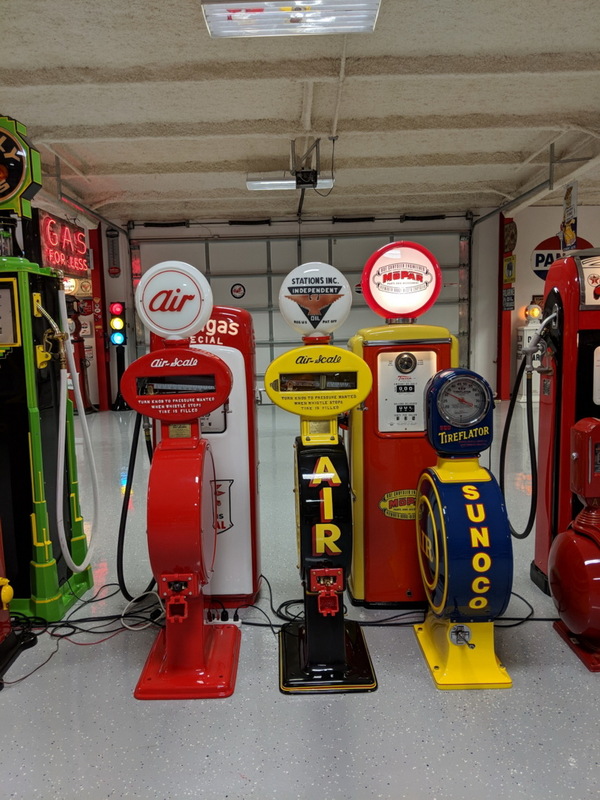 At Route 32 Auctions, our gas pump restoration services restore these treasures to their former glory. 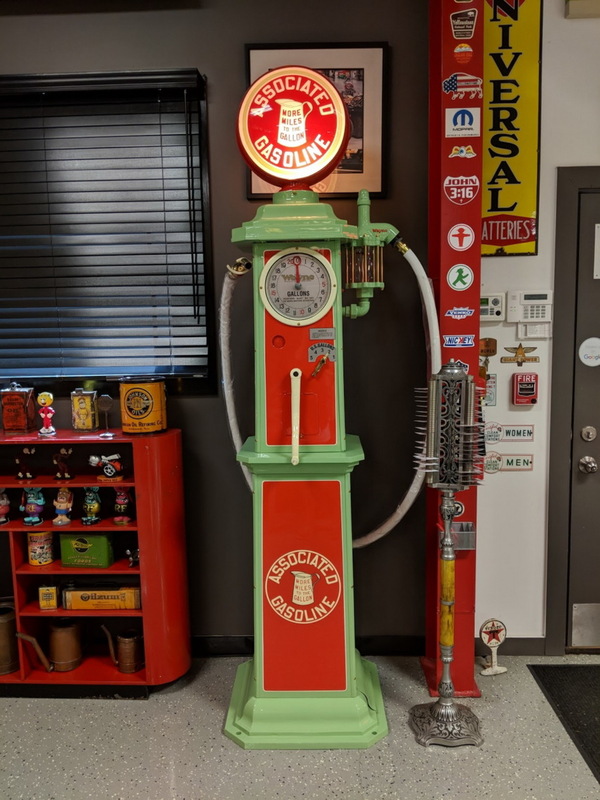 Here, we’ll discuss a brief history of gas pumps and our restoration processes. 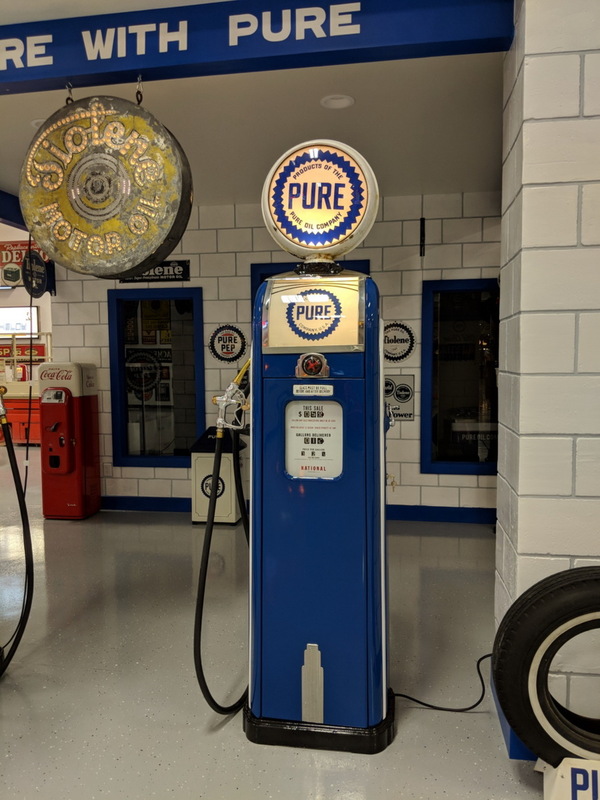 Heavy restoration is often needed simply because pumps are big metal machines that saw a lot of frequent use and required a lot of attention and maintenance. 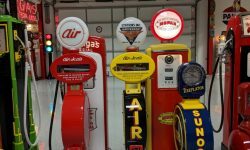 Metal parts and casings are usually rusted or dented, signs and paint are faded and chipped. 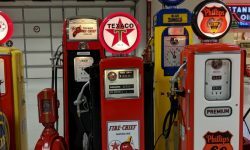 Hoses and pumps might be broken or missing entirely. 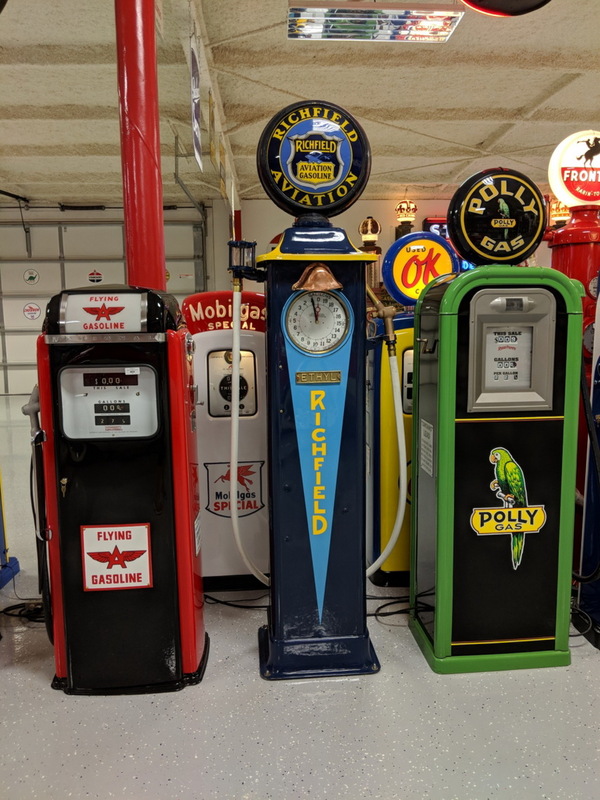 Not all gas pumps can be restored in the same way. 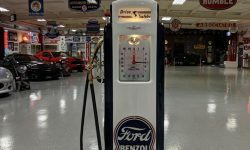 Oftentimes, parts can’t be salvaged and need to be replaced entirely depending on the level of deterioration. 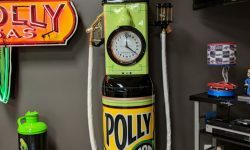 The specifics of any restoration process depend on how old a pump is, who made it, and the exact types of damage it may have. 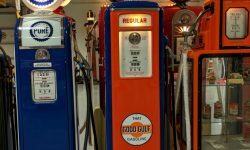 The type of restoration needed depends on whether it’s suffered problems from weather exposure or was dropped and mishandled. 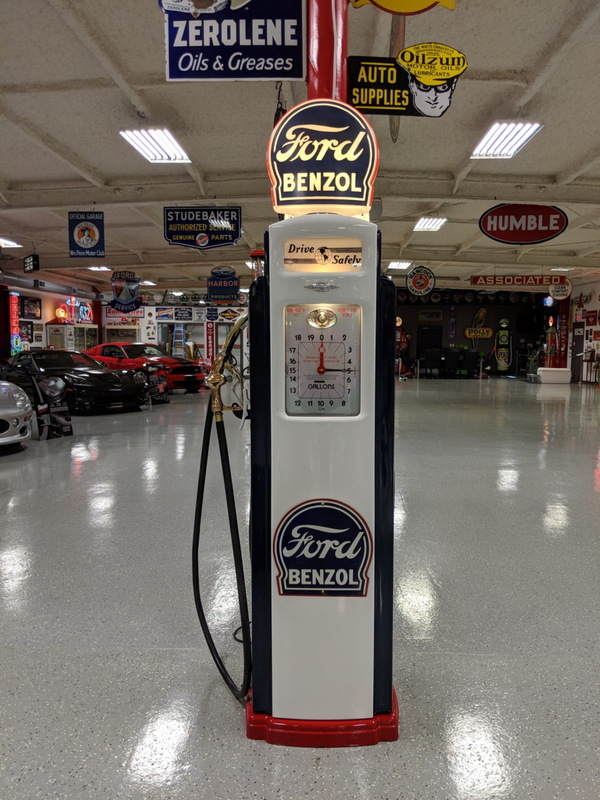 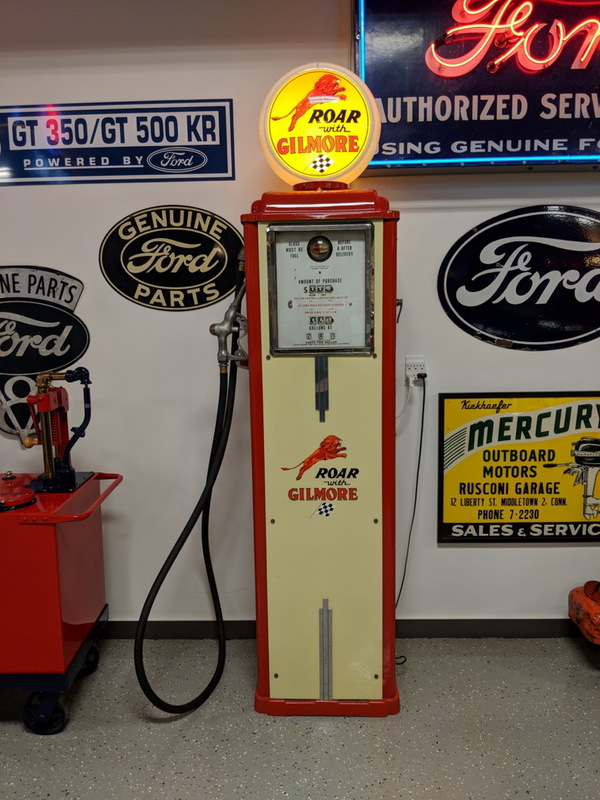 Here at Route 32 Auctions, we do our best to restore gas pumps to match their original appearances as closely as possible, even if we can’t keep all the original parts. 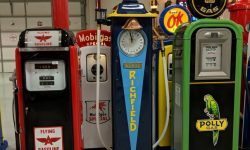 Don’t be discouraged if replacements have to be made – gas pumps get their value from their fun, unique appearances. 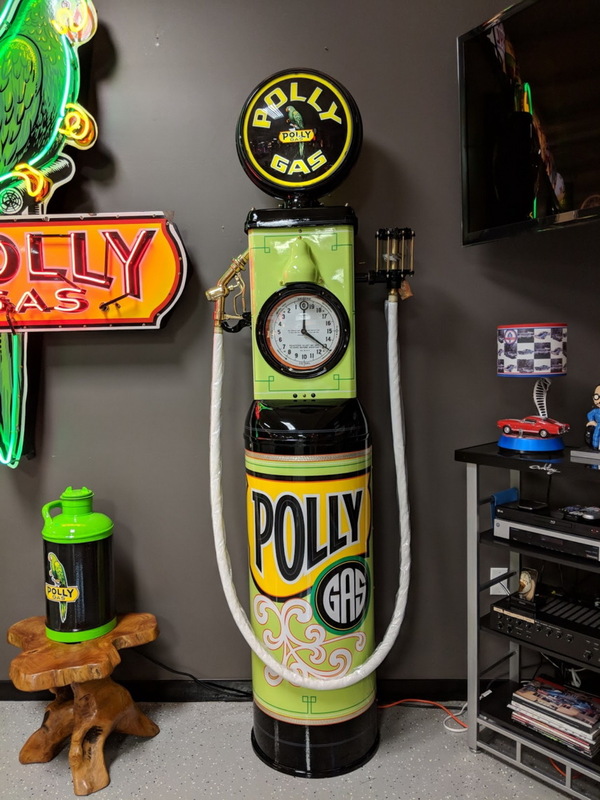 There’s no reason you can’t paint your pump a new color or replace the globes if that’s what you want to do! 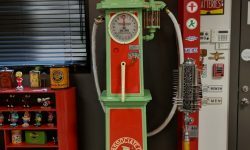 If you have a pump that needs some TLC, contact us today, and we’ll help you get started on the process. 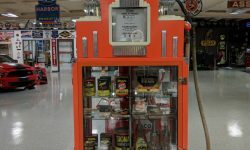 Have something cool you would love to see restored to its original glory? 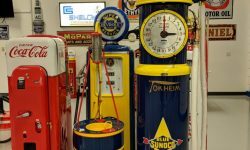 The first gas pumps predate even the first cars, having been used for refilling the kerosene used in old stoves and lamps. 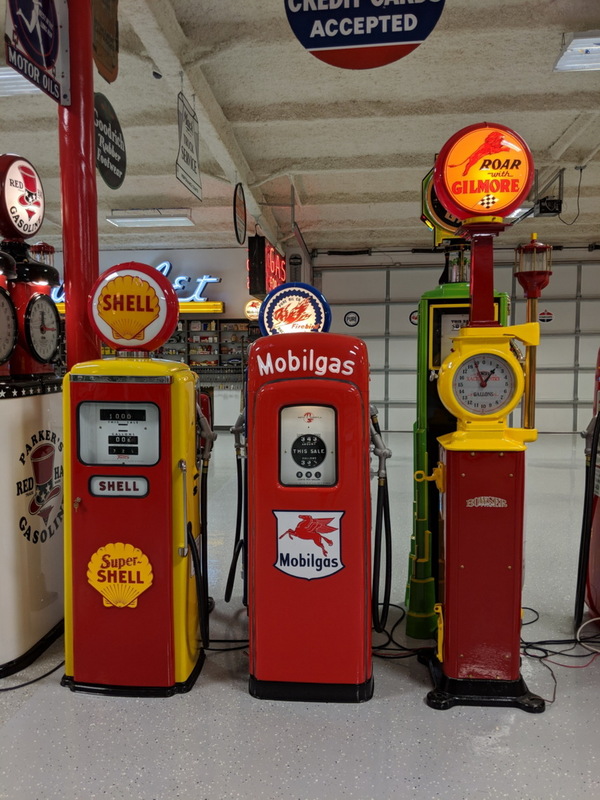 The inventor, Sylvanus Bowser, brought his gas pumps onto the market in 1885 and would make improvements over the years to make them easier and safer to use. 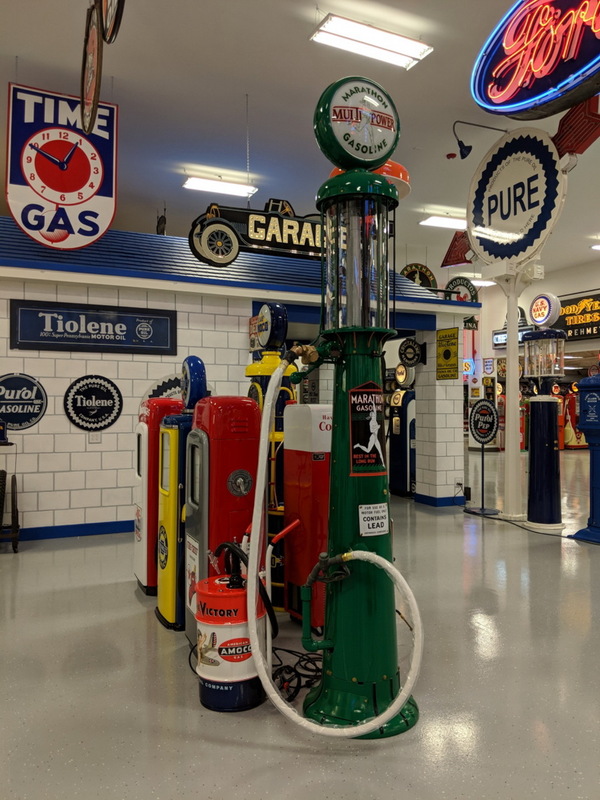 Over time, gas stations (once commonly referred to as filling stations) grew from their humble beginnings in our very own Indiana to a common sight dotting highways and roads across the country. 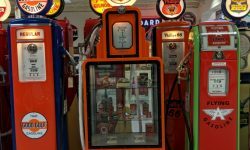 Most collectible gas pumps from the 1970s or earlier, before they became digital. 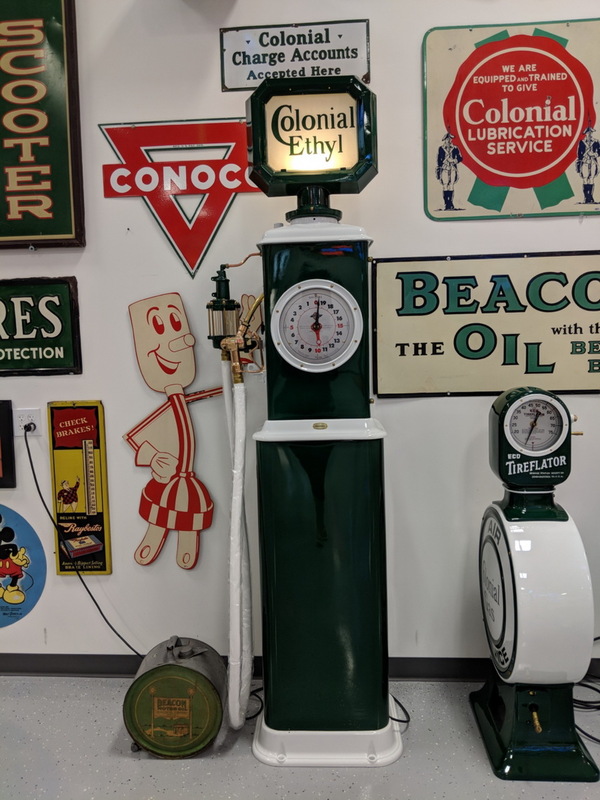 The oldest pumps were plainly designed and without clock faces, so measurement was often unreliable. 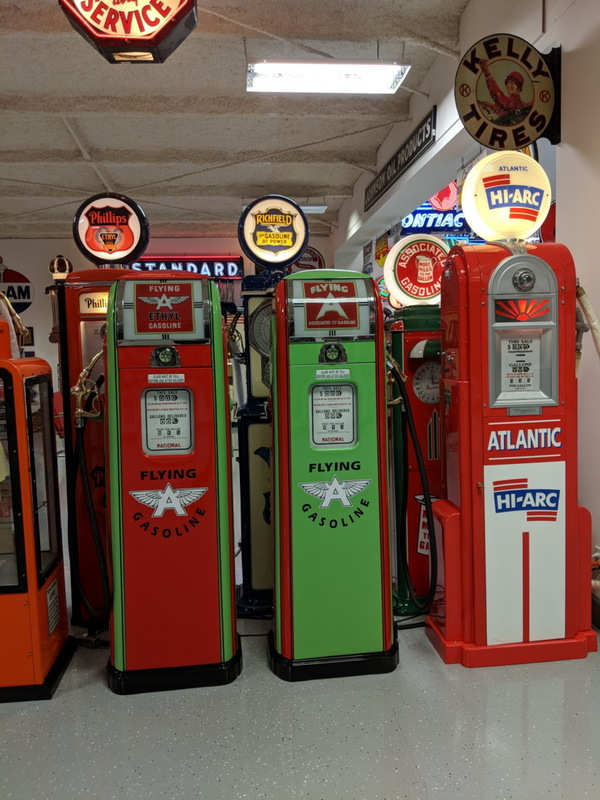 Starting around the 1920s, manufacturers and stations began adding vibrant paint jobs and unique designs to attract customers. 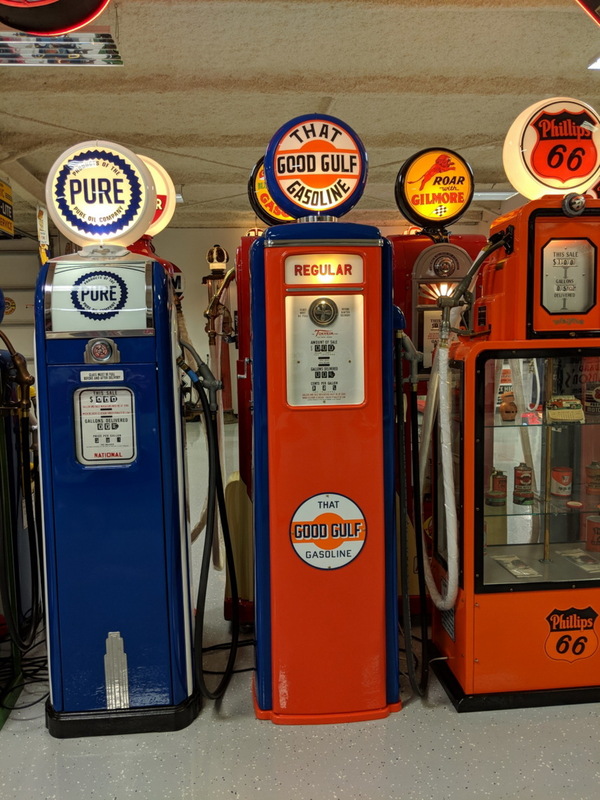 Globes became an emerging trend, as stations would affix brightly colored orbs to the top of pumps both to advertise the brand of gasoline they were selling and to attract motorists driving at night. 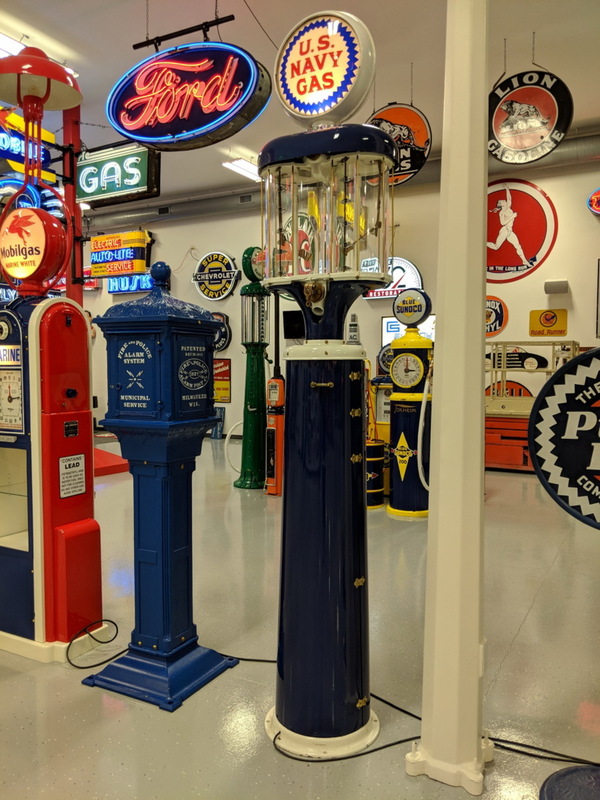 Globes began to disappear into the 1960s as street lamps grew in popularity, but they’ve found their own place as a collector’s item nowadays. 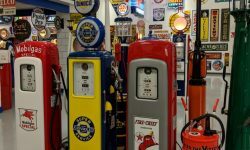 While vintage pumps can be expensive, most people don’t collect and repair them for the sake of a profit. 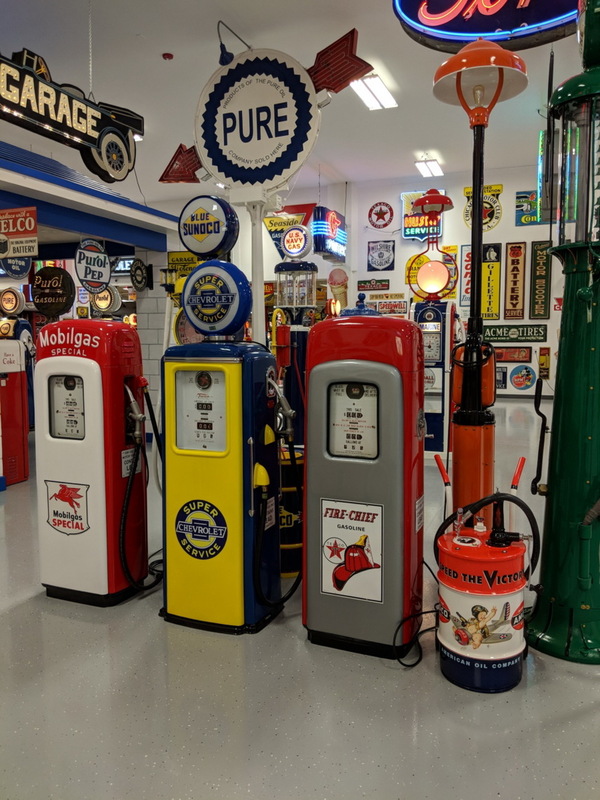 Instead, they do it out of love for these iconic pieces of petroliana restoration, which give us a unique part of days past and look beautiful on display. 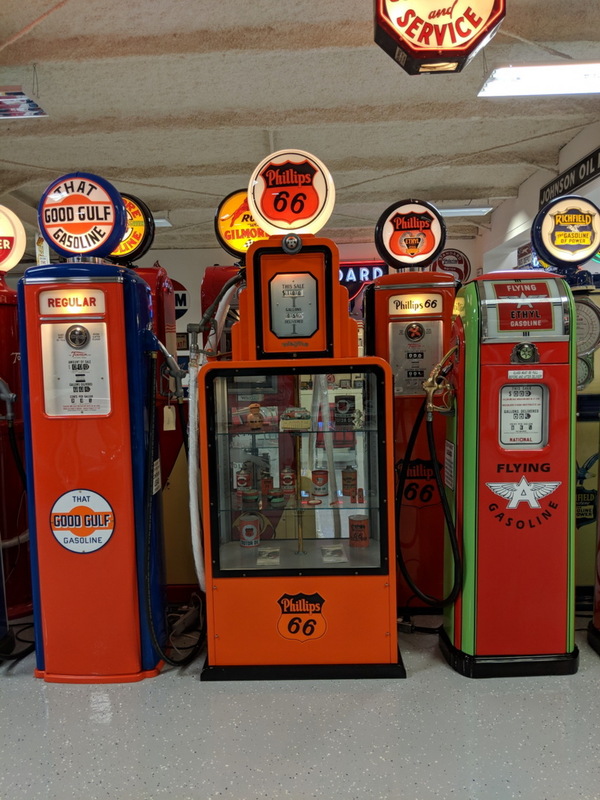 Although the prices of vintage gas pumps fluctuate all the time, one thing always remains constant: their collectability. 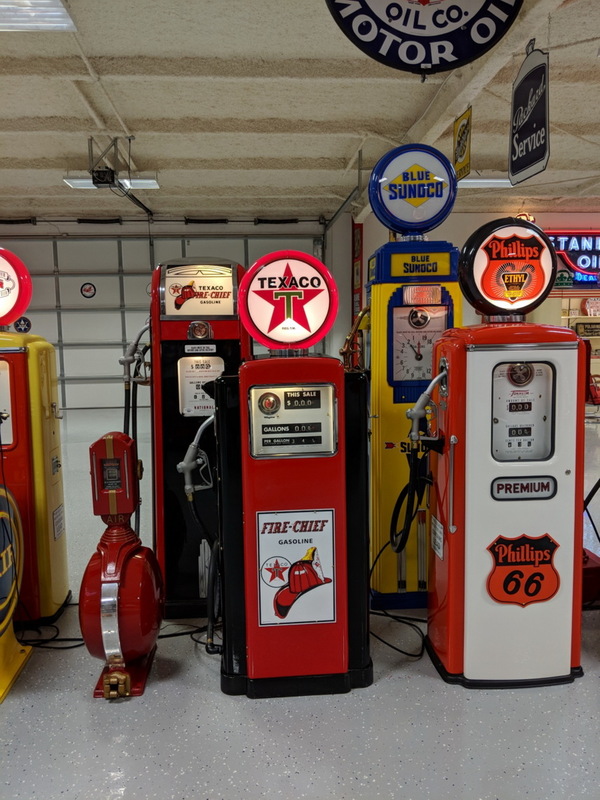 The collecting community is going strong. 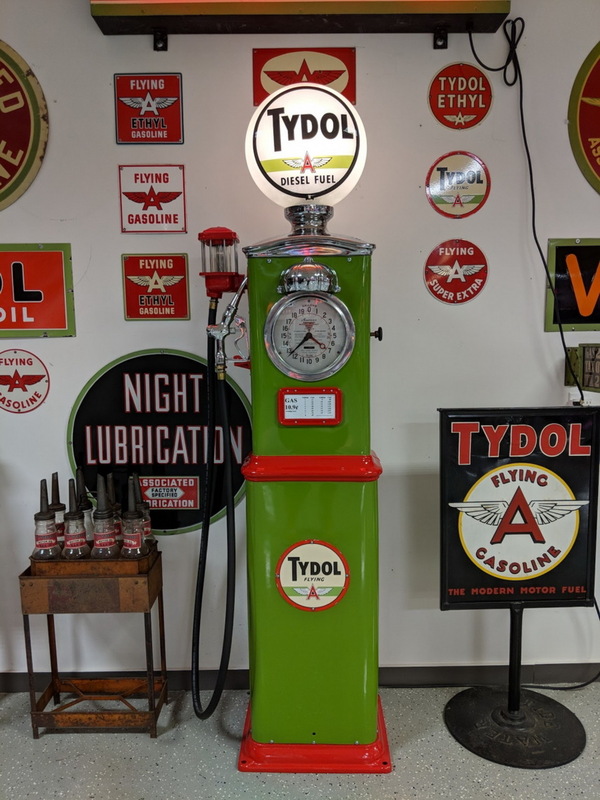 New, exciting finds are made all the time. 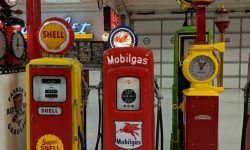 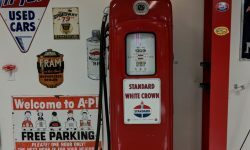 The variety of ages, designs, and brands are part of what make gas pumps so collectible. 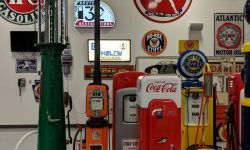 However, all of those factors also make them hard to restore. 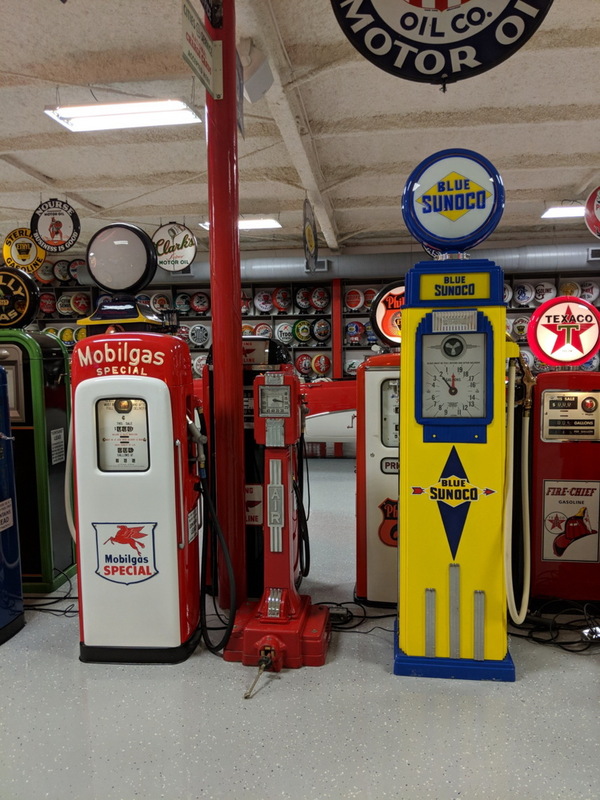 There are dozens of brands of gas pumps. 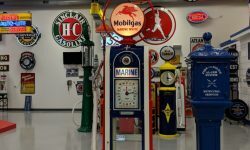 These have transformed over time as manufacturing standards and processes change and visual trends and designs evolve. 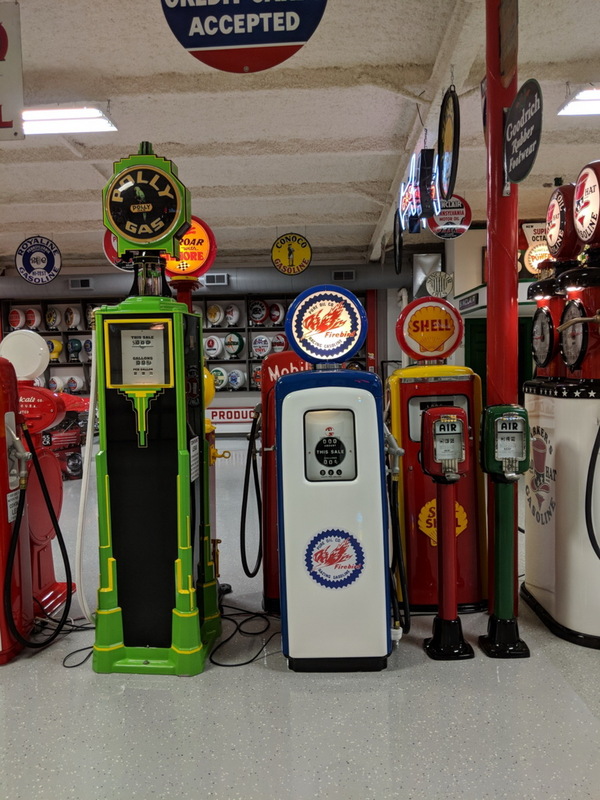 Even two pumps made in the same year by the same company can look completely different because of their paint scheme and any globes attached to the top. 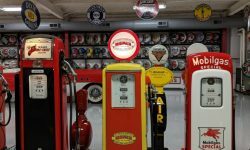 There are no rules as to what makes a piece collectible or not – it’s all up to your individual tastes! 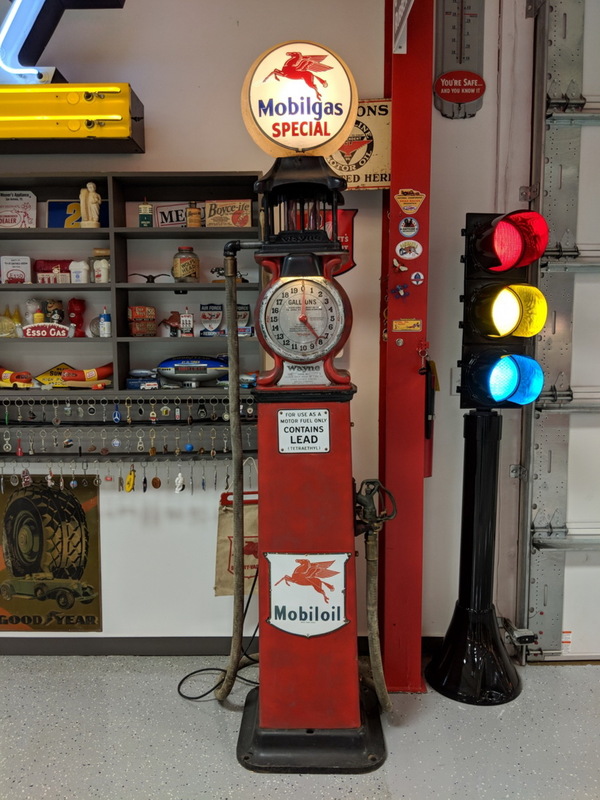 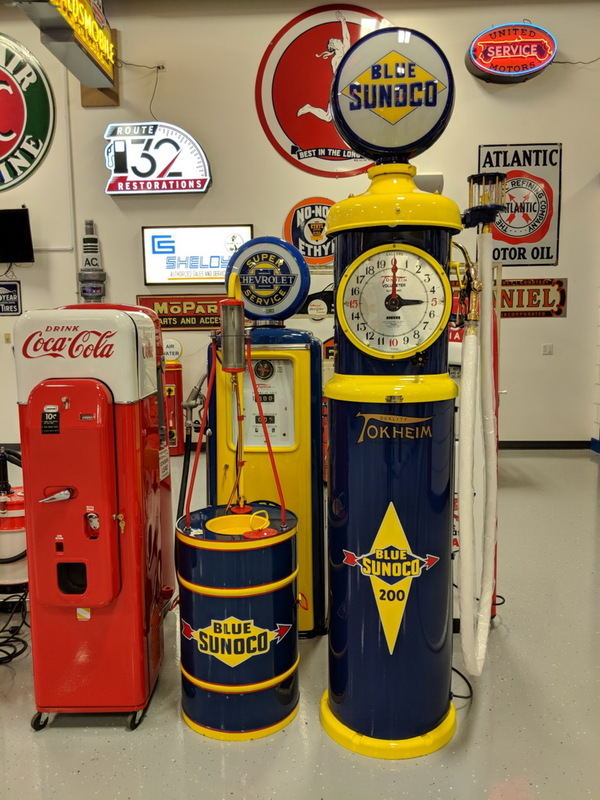 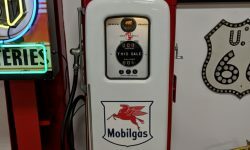 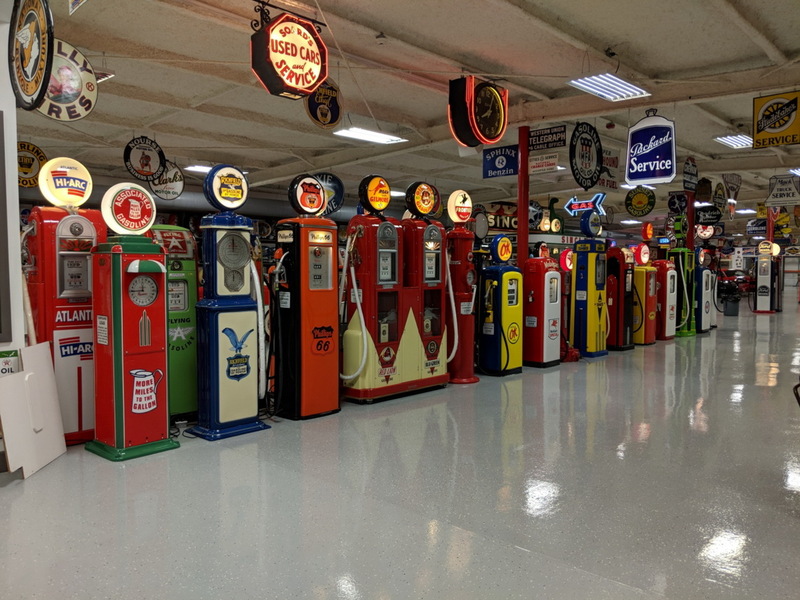 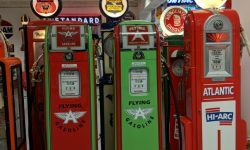 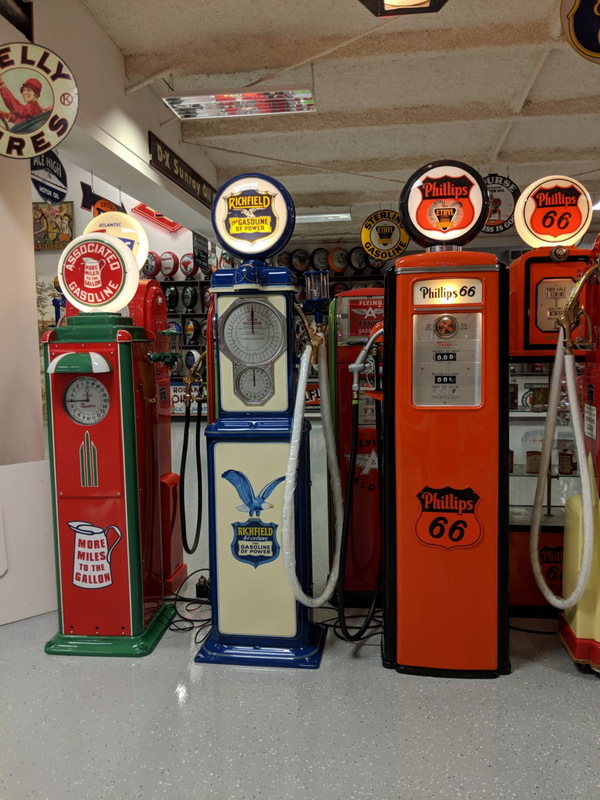 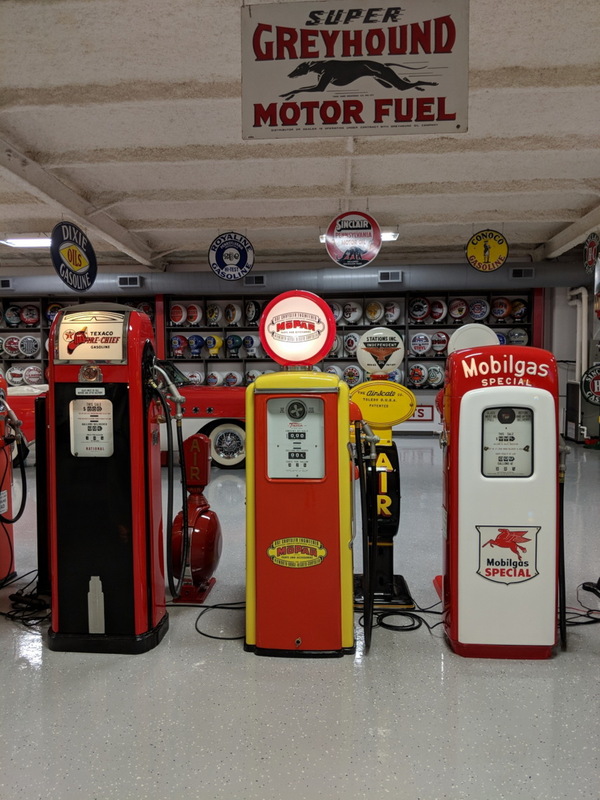 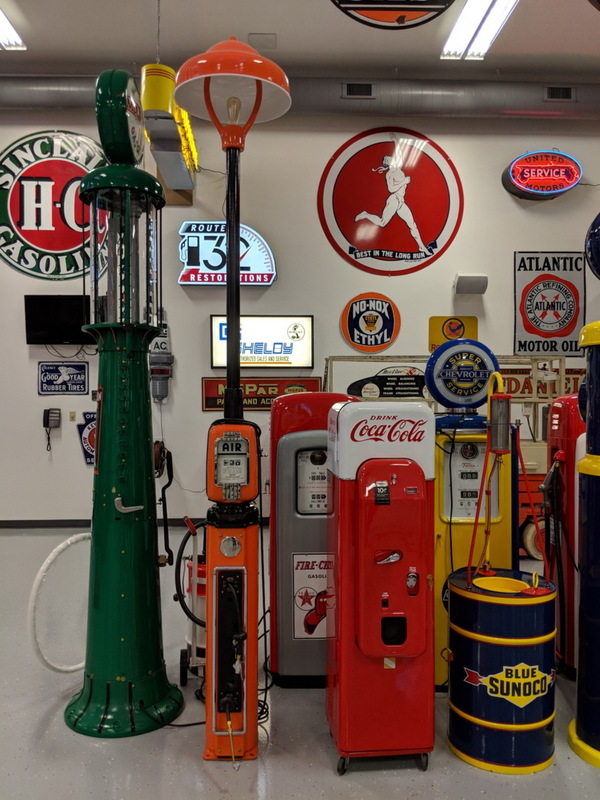 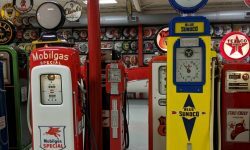 Whether you’re interested in merely keeping a piece of history in your home or reselling them for extra cash, there’s no right or wrong way to collect gas pumps. 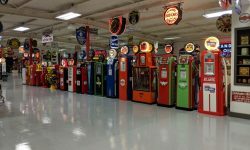 We have tons of experience with restoring these machines as well as neon sign restoration at our auction house. 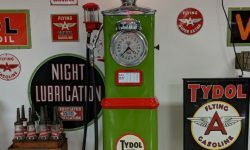 Whether you’re interested in starting or collection or growing what you already have, we can help. 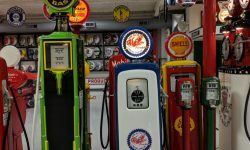 The core mechanisms within gas pumps are incredibly complex. 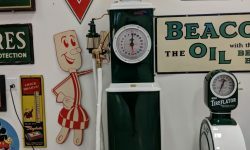 After all, they were made in a time before digital scales and computers were even a possibility. 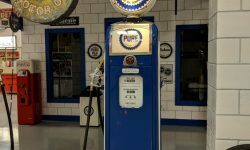 Each pump has an intricate system of gears that calculates the amount of gasoline being dispensed and corresponding price. 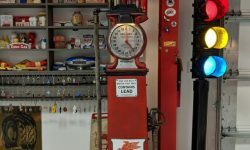 These systems are finicky. 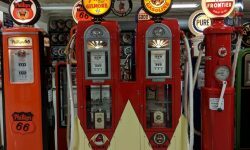 Back in the day, they required a lot of maintenance and care from station attendants. 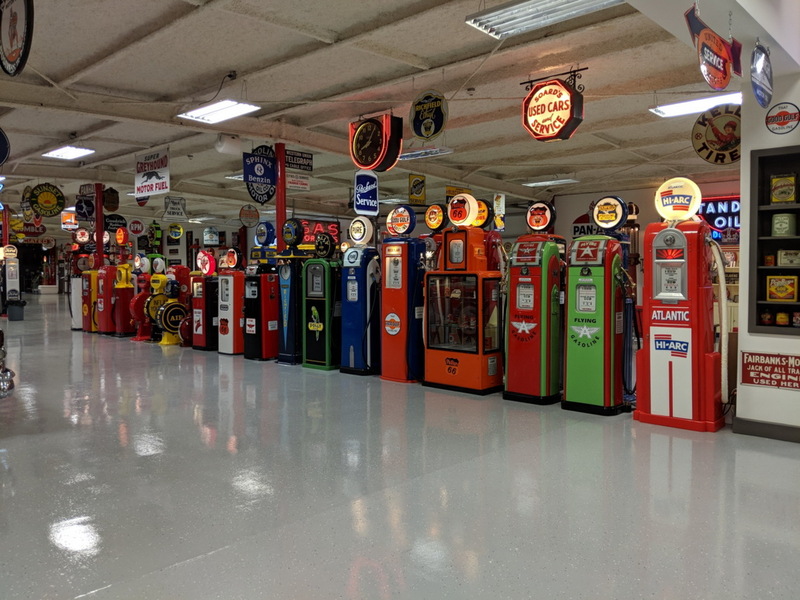 Nowadays, you can call restoration experts like our team here at Route 32 Auctions. 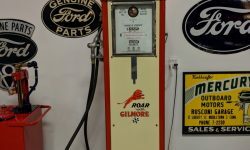 Depending on the restoration you need, it may help to contact us with help before restoration even begins. 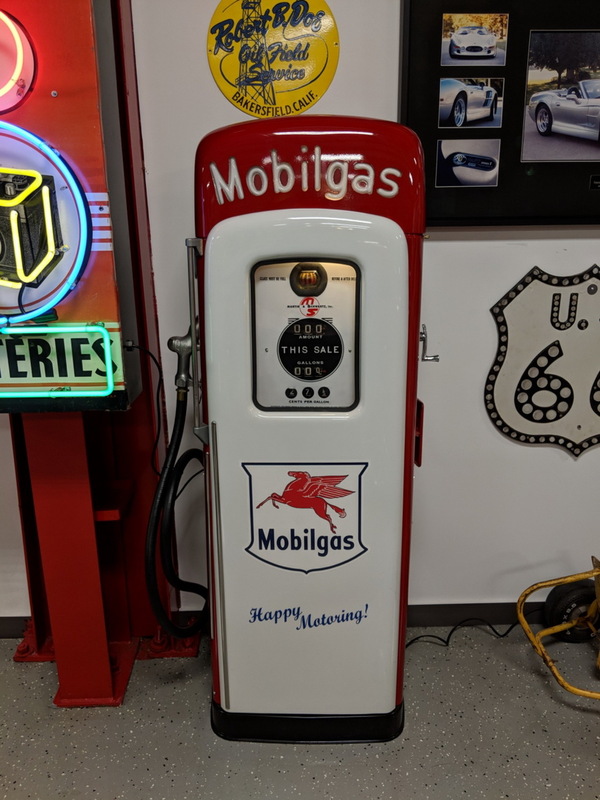 We can tell you if maybe you may want to leave the interior intact but remove the motor and other non-visible parts to bring the pump in. 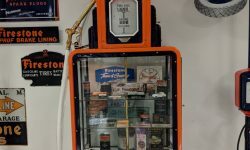 Removing these parts can lessen a lot of extraneous weight and make the entire machine easier to transport. 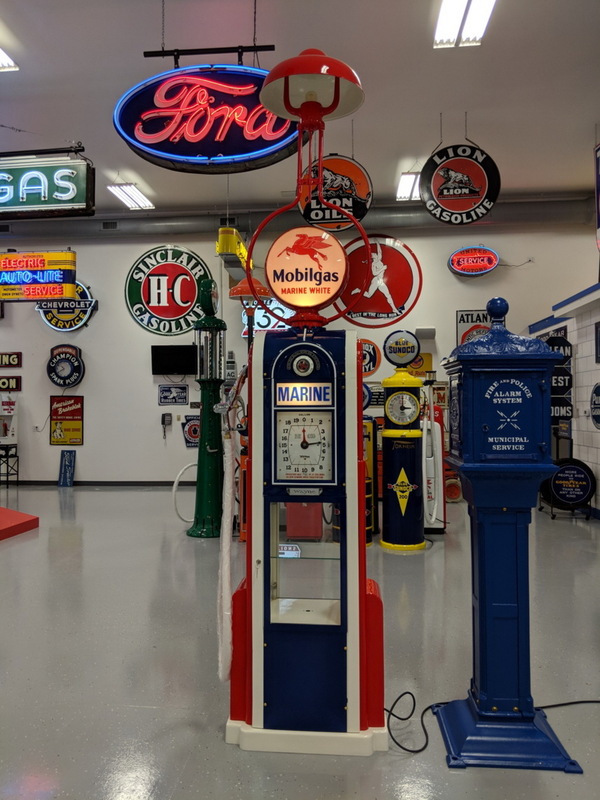 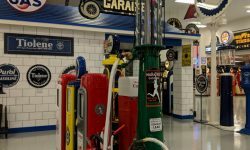 We have years of knowledge in restoring vintage items like gas pumps and other petroliana, so we can tell you if a part is missing or needs repair. 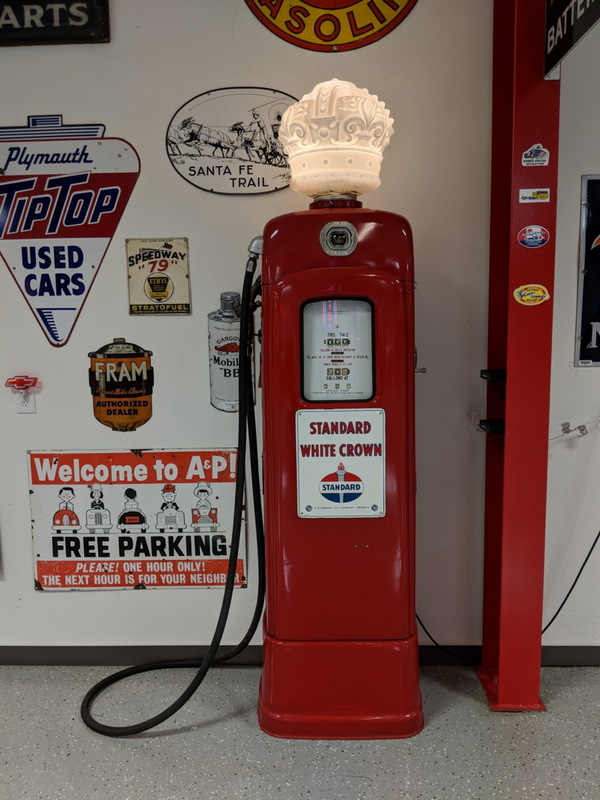 Our team takes a careful look at all the individual parts of a gas pump to ensure no detail is forgotten, and no piece is left unrestored. 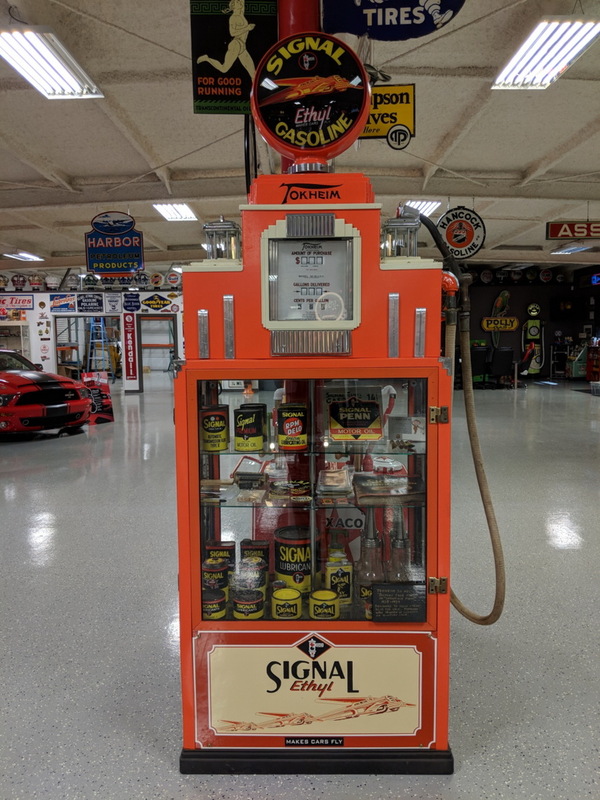 Route 32 is always willing to help restore collectibles. 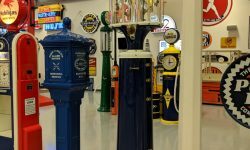 We offer free consultations, as well as pickup and delivery.